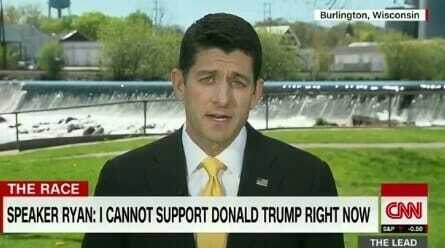 Last Thursday Republican Speaker Paul Ryan told Jake Tapper on CNN he was “not ready” to endorse Donald Trump yet. Donald Trump won the GOP nomination last week after his landslide victory in Indiana. Donald Trump responded to Ryan saying he was not ready to support Paul Ryan’s progressive agenda. 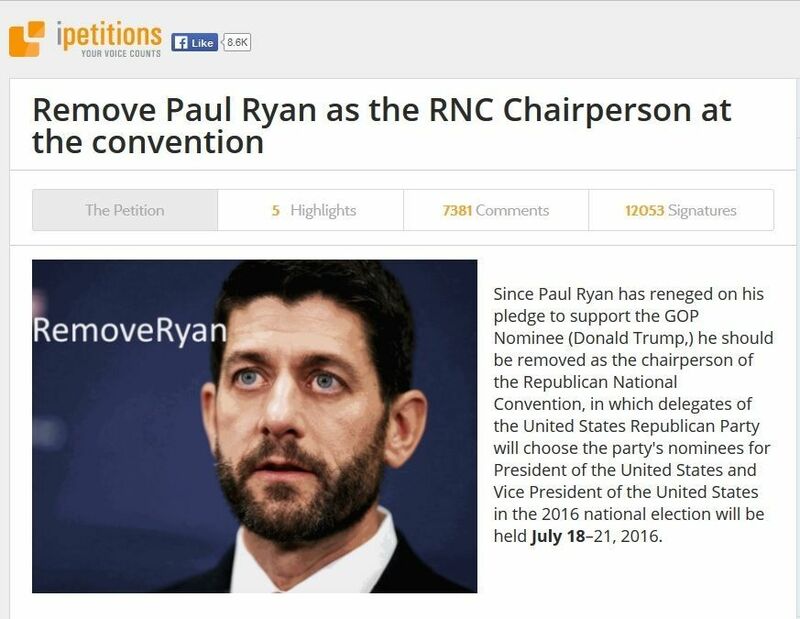 Now there is a petition to remove Paul Ryan as chairperson of the Republican National Convention in Cleveland. The petition already has 12,000 signatures. Since Paul Ryan has reneged on his pledge to support the GOP Nominee (Donald Trump,) he should be removed as the chairperson of the Republican National Convention, in which delegates of the United States Republican Party will choose the party’s nominees for President of the United States and Vice President of the United States in the 2016 national election will be held July 18–21, 2016. You can add your name here. ** And you can support Ryan’s primary opponent Paul Nehlen here.